Hello and welcome. This site is for those like us who are interested in finding healthy lifestyle products for the home and body. Some of the products we've discovered have even been touted as successful holistic health remedies and "alternative medicine" to pharmaceutical medicines. We hope you find it to be a good resource for just a few of the wonderful products in the world of organic foods, clean water, holistic health and alternative/ancient "medicine". This is just a very small sampling of the wonderful alternatives available to you now, but we hope you find something of value here. Years of research, and personal trials has led us to one simple belief... we have the power to make or keep ourselves well by using nothing but safe, all-organic whole foods, clean water, nutritional supplements, natural antibiotics, antioxidants, and some safe non-invasive holistic alternatives such as body cleansing, herbal remedies, energy fields, pH therapies, and more ... there is so much out there! We also offer the very best quality wellness products, such as water filters, water ionizers, air filters, EMF protectors, magnets, etc... a clean home environment is paramount to long term healthy illness-free living. Site owner is a certified Holistic Health Practitioner. (HHP) This is NOT a medical license of ANY KIND. We simply share information with you. 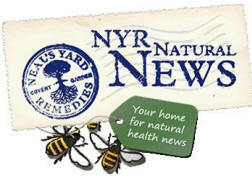 All of the information presented here regarding holistic health products or alternative medicine is public information. We have discovered some of the highest quality products and want to share them with everyone we know. It's no secret why we get sick. The fact is, we (big business and government's blind eye, to be exact) have created an environment for ourselves that has become far too destructive to our bodies. We need to take measures to combat the toxic, and GMO-processed-food filled world in which we live. Immune disorders such as cancer, diabetes, MS, fibromyalgia, A.D.D., asthma, etc... have begun to attack higher percentages of people, and at a younger ages than ever before. The Earth has become a cesspool of toxins. Our bodies were NEVER intended to absorb the absurd amount of chemicals that we all do in the course of every day life. From daily body hygiene products to water pollution to air pollution, food pollution, energy pollution, pharmaceutical poisoning, and so on. Our food has becoming toxic! The plants and animals we eat are mass produced. Instead of natural, healthy, clean nutrition, we get fertilizers, pesticides, insecticides, preservatives, PCBs, steroids, hormones, dyes, drugs, and who knows what else. Perhaps the scariest of all is Monsanto and their "GMO" (genetically modified) foods! Our diets contain almost no nutritional value to give the body what it needs to build adequate immunities and defenses, because our soil is literally depleted of essential minerals and vitamins that our bodies need. And the fast foods we eat can be deadly by aiding in artery clogs, high blood pressure, and oh my the SUGAR. Good choices need to be made. Parasites have been found to be MAJOR underlying causes and/or contributors to many major diseases. Animals and plants are full of various worms and parasites (that can carry bacteria and viruses). These microscopic invaders are VERY common, and can have a very deadly affect! Many alternative medicine protocols involve attacking these micro-organisms fast and hard. It's very strange that the status quo medical establishment refuses to acknowledge this very real threat to our health. Western medicine doesn't seem to be working all that well either. Let's face it, our current medical system is a disaster. Health insurance companies and pharmaceutical companies ("Big Pharma") may just be at the center of our very demise. The long term affect of this pharmaceutical era on our gene pool can't be known for decades. Pharmaceutical drugs have become the "only" way to "fix" anything. They have proven time and time again to be just as destructive to the body as the condition they've been prescribed to treat. Read your disclaimers. With the passing of the CODEX Alimentarius, we may soon lose all our God-Given rights to make our own health decisions. This is very real. Soon, ALL vitamins, minerals, and other natural products may be available only through prescription! Doctors and nurses are overwhelmed with information. Remember - doctor's are just people. People are not perfect. It is impossible to get adequate training in every field of study. Keeping up with new drugs and drug interactions alone is a full time job. Also keep in mind these people are highly restricted from diagnosing anything or prescribing anything but what they're told they can by the AMA and FDA. When getting a medical opinion, go with a specialist in the field of your concern and the treatment procedures you're researching. Frequency Pollution is something most people don't even know about! High-frequency "EMF" (electro-magnetic frequency) pollution that is carried in wiring cell phones, computers, TVs, etc... has been shown to be the source of electrical sensitivity symptoms such as headaches, tiredness, poor short term memory, fatigue, rashes, depression, nausea, irritability, or even chronic fatigue syndrome! All of this seems overwhelming... but it is not. It just takes a little time and the right information. We believe we have the power to take control of our own well being. The information here has already helped us, and maybe it can help you to. Eliminate the toxins from your life! Drink clean water. Eat clean food. Regularly purge your body of toxins & parasites. Get antioxidants to stop free radical damage. A simple regimen of easy-to-follow daily rituals can have you literally "zinging" on your body's own natural high frequency energy! You and your family can have healthier, longer, and better quality lives. Drink only cleanest water. Eat cleanest food. Please look through the site. If you have any feedback or suggestions, please let us know. In our efforts to stay up to speed on the many holistic products in the world today, we sometimes stumble across information that is downright scary to us. It seems our government has turned it's back on us. When it comes to big business vs. our health (and the health of our children and their children), we just don't win. The impact on our health is downright scary. In our daily lives, we find ourselves sharing many of these snippets of information with our friends and family, only to realize that they have no idea what is going on right under our noses. We just thought we might share a few bits of information with those who are interested in what is happening to us here in the land of the free. These are a just few of topics we wish everyone will wake up and realize is happening. When enough of us become active, we can then finally take a serious stand against this machine and take back our true God given health, privacy, and true freedom to make our own decisions regarding our own bodies. Flu Vaccines and Mercury... BEWARE! According to the Centers for Disease Control (CDC), most flu vaccines contain mercury in the form of thimerosal, some as much as 25 mcg of the global pollutant per dose – which is more than 250 times above the E.P.A. 's safety limit. Mercury exposure is particularly dangerous to fetuses and babies because it can cause blindness, cerebral palsy, deafness, impaired development, learning disabilities, mental retardation and a reduced attention span, Dr. Joseph Mercola explains. Mercury poisoning in adults, on the other hand, can involve a variety of symptoms, including disturbed sensation, sensory impairment, lack of coordination, extreme fatigue, fertility problems, memory loss, impaired blood pressure regulation, and neuro-muscular dysfunction. The FDA does NOT require GMO labeling on your food label!! This is a scary. “U.S. drinking water contains more than 2100 toxic chemicals that can cause cancer." - Report by the Ralph Nader Study Group, after reviewing over 10,000 documents acquired through the Freedom Of Information Act. CODEX Soon, most items found in a health food store such as vitamins, minerals, protein, herbs, etc., may be available by prescription only. Vaccines don’t mean healthier children! "Two decades ago, one in 10,000 children were diagnosed with autism. Today, 1 child in 150 develops autism, 1 out of 6 children is learning disabled, 1 in 9 has asthma, and 1 in 450 is diabetic. During the last 25 years, the number of children with learning disabilities, ADHD, asthma and diabetes has more than tripled, as doctors have doubled the number of vaccine doses they give babies and children under six. Also, thousands of children have suffered from adverse vaccine reactions, including behavioral changes, brain inflammation, collapse, convulsion, excessive sleepiness, high fever, high-pitched screaming, mental and physical regression, shock and skin problems. 2004 - "Merck kills at least 55,000" FDA admits pharmaceutical drug giant Merck kills at least 55,000 people with their deadly drug Vioxx. How much mercury is too much? GotMercury.org can help you answer that with their mercury calculator. Example: if a woman weighing 145 pounds ate 12 ounces (about 2 fillets) of yellowfin tuna per week, her mercury intake would be 240% over the current EPA “safe” limit! Pharmaceutical giant GlaxoSmithKline (GSK) submitted a Citizen Petition calling for the U.S. Food and Drug Administration (FDA) to reclassify all weight loss support claims for dietary supplements as disease claims. Of the 17,000 chemicals that appear in common household products, only 30% have been tested for negative health effects! The EPA reports that the average American consumes 4 pounds of pesticides each year and has residues from over 400 toxic substances in his body. More than 3,000 chemical additives are found in the food we eat. 70,000 synthetic chemicals are in production today. Many are suspected to cause cancer or other health ill effects,... but roughly only 700 have been adequately tested. In a 1992 survey, a national pharmacy database found a total of 429,827 medication errors from just 1,081 hospitals. Approximately 10 million prescriptions are written for the 5 to 6 million children under age 5 suffering from ear infections each year. Studies have shown that antibiotics do very little for a child’s ear infection, while common painkillers such as acetaminophen and ibuprofen work just as well as prescribed antibiotics. ... Scientists refer to this contamination as a person’s body burden. Of the 167 chemicals found, 76 cause cancer in humans or animals, 94 are toxic to the brain and nervous system, and 79 cause birth defects or abnormal development. The dangers of exposure to these chemicals in combination has never been studied! The Federal Environmental Protection Agency has found that airborne chemical levels in homes were as much as 70% higher than outside. The FDA does not require companies to do safety testing on their personal care products before they are sold to the public! Childhood asthma has nearly doubled in the last 20 years. In 1974, 2.4 million unnecessary surgeries were performed that resulted in 11,900 deaths compared to the year 2001, where 7.5 million unnecessary surgeries were performed resulting in 37,136 deaths. A 1998 study reported an estimated 106,000 deaths from prescription medications per year. Sources for "Did you know"
These are just a few examples of the issues we are facing with our health and battle against big harma, Monsanto, and even our own FDA. Get more Information on the steady DECAY of our rights and health freedoms. Stay tuned into what is happening to your right to good health and freedom of choice regarding YOUR OWN BODY! You can help by signing available online petitions. Our water supply is one of most contributory factor in today's epidemic of skyrocketing immune disorders and other diseases. Clean water is no longer a luxury, but a necessity! This is the most comprehensive single unit water filter we've ever seen. - Removes BROADEST RANGE of Toxins! - NO Filter Media Changes or Repacking! - Lasts 10 Years or Longer! - Unique, Patented 5-Stage Design! Fluoride - Bacteria - Cysts - MTBE - More! 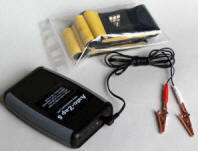 The Gold Standard in Frequency Generators! Bio-frequency therapy is a fascinating science. All living (and non-living!) things generate bio-frequencies. These device use these frequencies against invading organisms within our bodies. 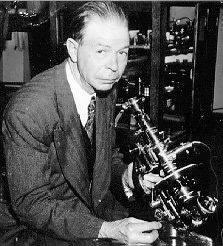 Although frequency generators are based on the work of Dr. Royal Rife, today's generators are generally much easier to use. Dr. Hulda Clark Body Cleanses! Body cleansing is a first-step line of defense against a host of crippling invaders such as parasites, kidney stones, gallstones, colon sludge and plaque, and toxins like metals, chemicals, drugs, hormones, etc.... Body cleansing can produce seemingly miraculous results for a wide variety of ailments. 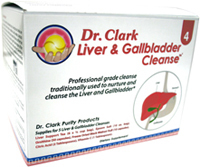 The cleanses we prefer are based on the work of famous cancer researcher, PhD Hulda Clark. "Zap" Your Way to Optimum Health! The Hulda Clark Zapper delivers a mild DC electric charge through the skin and into the body's living tissue that is designed to help destroy parasites and other pathogens, while boosting immune power. Over 30 Million people suffer from the very painful and irritating nerve damage known as "peripheral neuropathy". The ReBuilder has been proven 94% effective in clinical studies in reducing and even reversing the symptoms of neuropathy. Money back guaranteed to provide relief! Ozone Therapy for Home Use! Ozone is a TRUE sterilant. Ozone is not just another disinfectant. It has the ability to completely destroy bacteria, viruses, spores, fungus, mold, mildew, cysts, and many other contaminants like chemical, metals, VOC's, and much more! Ozonate your drinking water and oil to aggressively detoxify and oxygenate your body! Combine the benefits of juicing while getting all the benefits of a high fiber diet! The Vita-Mix breaks down fruit or vegetable fiber down to microscopic particles and releases more juice than a juice extractor! Make your own doughs, smoothies, ice cream, and more. 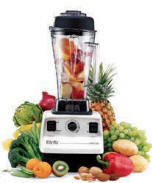 No other product in the world outperforms The Vita-Mix! Highest O.R.A.C. Score Available! VIBE is the single most effective nutritional supplement you can find, period. VIBE is the most comprehensive answer to the body's need for life-giving nutrients. A more complete combination of healthful ingredients in ionic liquid design can't be found. Potent, liquid, ionic, frequency imprinted nutrition with nearly 100% fast absorption! 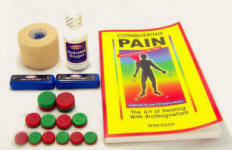 Magnet Therapy for over 170 conditions. This kit has everything: 14 bio-magnets, an award winning instruction book, pictorial instructions on all the advanced circuit therapies. Great for pain, increased immunity, increased energy, tissue regeneration, detoxifying, illnesses and more. EMF (ElectroMagnetic Fields) and ELFs (Extremely Low Frequencies) generated by electrical appliances, cell PHONES, computers, TVs, etc... have been proven over again to have a detrimental affect on our bodies, brains, and health! Well – no more! 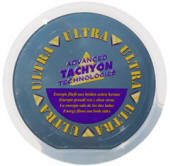 Meet “Advanced Tachyon Technologies”… makers of some of our favorite products. This is just 1 of 100’s. Biofield analysis indicates that the Tachyonized Silica Disk eliminates the detrimental effect of electromagnetic fields on humans. Power4™ conveniently blends 4 of the world's most popular super fruit juices into one pure, powerful, therapeutic, easy-to-take, undiluted product! Maintain a healthy mood, beauty, digestive health, immune system, reduce inflammation, and more... in one just 1 sip daily. Made from undiluted Goji Berry, Açaí Berry, Noni and Mangosteen Fruits! The 13 Day WEIGHT LOSS Challenge will blow you away! Talk about RESULTS! This whole food cleanse is so purifying, if you don't see results, you get your money back! This whole food cleanse is well balanced, and is designed to FORCE you to lose weight, clean your colon, reduce gas and indigestion, get you regular, balance your GI track, improve your skin, and more. Most people see vast improvement in the first 5 days! Silver is the single most effective anti-viral and bactericidal agent known! No known disease-causing organism can live in the presence of even minute traces of silver, making it effective against more than 650 disease causing pathogens! (Antibiotics are only effective against about a dozen forms of bacteria and fungi, and never viruses!) Great immune system helper. Great for cuts, scrapes, colds, flu, head, sinus, and ear infections. GREAT FOR KIDS. No home should be without a good silver product. Gulathione is one of the most important internal cleansing and healing agents known. The highest concentration of glutathione is found in the liver which is the principal organ involved in the detoxification and elimination of toxic materials. We like HIGH doses when ill. Glutathione is a protein that works as an antioxidant that can help the body devour tumors and other foul material within our bodies. Oil of Oregano is a potent antiseptic and is highly effective for killing a wide range of fungi, yeast and bacteria, as well as parasites and viruses! It has a wide variety of uses: digestion, colds, warts and boils, gum diseases; skin diseases such as psoriasis, eczema and seborrhea, as well as many chronic ear, sinus and lung problems that are caused by fungus. Hydrogen Peroxide, or H202, is involved in all of life's vital processes, and must be present for the immune system to function properly. The cells in the body that fight infection (known as granulocytes) produce hydrogen peroxide as a first line of defense against invading organisms like parasites, viruses, bacteria and yeast. It is also required for the metabolism of protein, carbohydrates, fats, vitamins and minerals. It also helps regulate blood sugar and the production of energy in cells. If you don't see something here, call anyway. We may be able to help. Full Disclaimer: We are not licensed medical professionals, nor do we imply so. We do not prescribe, diagnose, or provide medical services or advice in any way. Statements contained on these pages about alternative medicine, holistic health, or any other topics have not been evaluated by the Food and Drug Administration. The information found here is not intended to diagnose, treat, cure, or prevent any disease. Suggestions and ideas presented in this document are for information only and should not be interpreted as medical advice, meant for diagnosing illness, or for prescriptive purposes. Readers are encouraged to consult their own health care provider before beginning any protocol such as diet change, Dr. Clark body cleansing, magnet therapy, ozone, Kangen water, or any other alternative medicine.